What is a mindful pregnancy and why is it important? 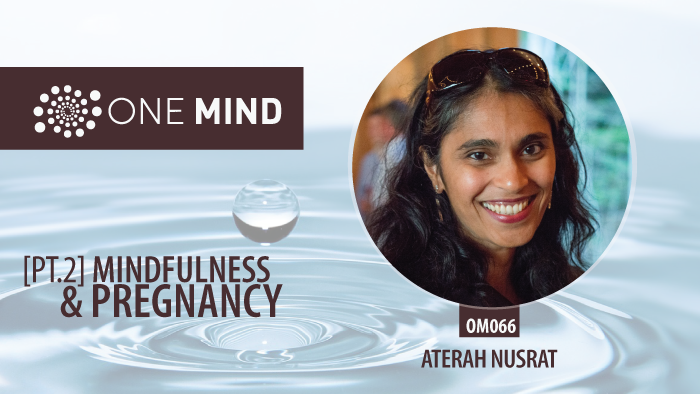 In this 2-part episode, we talk with long-time meditator and new mum, Aterah Nusrat about how to nurture a mindful approach to pregnancy. 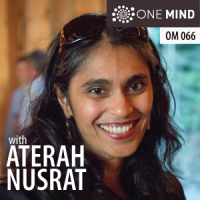 In part 1, we explored Aterah’s own spiritual journey, which started in a moderate Muslim household. Eventually, her spiritual interest led her to embrace and practice the perennial enlightenment teachings from the East. Some stress during pregnancy is normal, just as it is during other times of life. But if stress becomes constant, the effects on you and your baby could be lasting… ‘the kind of stress that’s really damaging is the kind that doesn’t let up,’ says Susan Andrews, PhD, a clinical neuropsychologist and author of the bookStress Solutions for Pregnant Moms: How Breaking Free From Stress Can Boost Your Baby’s Potential. In fact, constant stress could alter your body’s stress management system, causing it to overreact and trigger an inflammatory response. Really enjoyed the podcast. Thanks to Nusrat. She made me clear about mindful postpartum.